John Cornyn III (born February 2, 1952) is an American politician and lawyer serving as the senior United States Senator from Texas since 2002. He served as the Republican Senate Majority Whip for the 114th and 115th Congresses. Cornyn also previously served as Chairman of the National Republican Senatorial Committee from 2007 to 2011. Born in Houston, Cornyn is a graduate from Trinity University and St. Mary's University School of Law, receiving his LL.M. from the University of Virginia School of Law. Cornyn was a Judge on Texas' 37th District Court from 1985 to 1991, until he was elected an associate justice of the Texas Supreme Court, where he served 1991 to 1997. In 1998, Cornyn was elected Attorney General of Texas, serving one term until winning a seat in the U.S. Senate in 2002. He was re-elected to a second term in 2008 and to a third term in 2014. Cornyn was born in Houston, the son of Atholene Gale Cornyn (née Danley) and John Cornyn II, a colonel in the U.S. Air Force. While growing up, he attended the American School in Japan after his family moved to Tokyo in 1968, and graduated from there in 1969. He graduated from Trinity University in 1973, where he majored in journalism and was a member of Chi Delta Tau. He earned a Juris Doctor from St. Mary's University School of Law in 1977 and an LL.M. from the University of Virginia School of Law in 1995. He was named the St. Mary's Distinguished Law School Graduate in 1994 and a Trinity University Distinguished Alumnus in 2001. He served in San Antonio for six years as a district judge before being elected as a Republican in 1990 to the Texas Supreme Court, on which he served for seven years. In 1998, Cornyn decided to run to become Texas Attorney General. In the March primary, Barry Williamson, Railroad Commissioner, placed first with 38% of the vote but failed to get the 50% threshold necessary to win the Republican nomination. Cornyn, then a state Supreme Court Justice, got second place with 32%. In the April run-off election, Cornyn defeated Williamson 58% to 42%. In the general election, Cornyn defeated Jim Mattox, former attorney general (1983–1991) and U.S. Congressman, with 54% of the vote. In 1998, Senator Cornyn became the first Republican elected Attorney General of Texas since Reconstruction and was sworn in by Governor George W. Bush. He created the Texas Internet Bureau to investigate illegal internet practices. He fought against government waste and corruption with his investigation of fraudulent Medicare and Medicaid claims. Cornyn was criticized for failing to investigate in a timely manner the false drug convictions of numerous African-Americans in Tulia, Texas. An Austin Chronicle article on September 6, 2002, said that Cornyn announced that his office will investigate the 1999 drug bust, where the accused represented 16% of the town's black population. In 2005, Cornyn's name was mentioned among possibilities to replace Supreme Court justices Sandra Day O'Connor or William Rehnquist. In the 2002 U.S. Senate Primary in Texas, Cornyn was the candidate promoted and supported by the Texas Republican Party. He easily defeated the five other candidates in the Republican Primary without debating the other candidates. Cornyn defeated his closest Republican challenger, Bruce Rusty Lang, a self-financed Dallas-based international physician, in the Republican Primary election by a ten to one electoral margin. In the 2002 General election, Cornyn defeated Democrat Ron Kirk in a campaign that cost each candidate over $9 million. 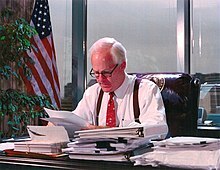 Cornyn's predecessor, Phil Gramm, resigned early, effective November 30, 2002, so that Senator-Elect Cornyn could take office early, and move into Gramm's office suite in order to begin organizing his staff. Cornyn did not, however, gain seniority, owing to a 1980 Rules Committee policy that no longer gave seniority to senators who entered Congress early for the purpose of gaining advantageous office space. Texas has not elected a Democrat in a statewide election since 1994, and according to Rasmussen polling, in October 2008 Cornyn had an approval rating of 50%. Texas House of Representatives member/Afghanistan War veteran Rick Noriega secured his place as Cornyn's Democratic challenger in the March 4 primary, beating out opponents Gene Kelly, Ray McMurrey, and Rhett Smith. The same Rasmussen poll showed Cornyn leading Noriega 47% to 43%, suggesting that this race might have proved to be unexpectedly competitive. However, most polls showed a much wider margin. Christian activist Larry Kilgore of Mansfield, was a Republican challenger for the March 2008 primary election, but Cornyn easily won the Republican Primary. Yvonne Adams Schick was the Libertarian Party's nominee. In addition, the Green Party of Texas sought ballot access for its candidate David B. Collins. John Cornyn speaking at the 2014 Conservative Political Action Conference (CPAC) in National Harbor, Maryland. Cornyn succeeded in his reelection in 2014. Cornyn, according to the Dallas Morning News, "never broke a sweat." He won the Republican primary with 59% of the vote against Houston-area congressman Steve Stockman in the March primary. In the general election he raised $14 million, outspending nearly 3-1 Democrat David Alameel, a Dallas resident. In 2004, Cornyn co-founded and became the co-chairman of the U.S. Senate India Caucus. Cornyn was selected by his colleagues in December 2006 to be a member of the five-person Republican Senate leadership team as Vice Chairman of the Senate Republican Conference. Cornyn has received various awards and recognitions, including the 2005 Border Texan of the Year Award; the National Child Support Enforcement Association's Children's Champion Award; the American Farm Bureau Federation's Friend of Farm Bureau Award; the Texas Association of Business's (TAB) Fighter for Free Enterprise Award; the National Federation of Independent Business's (NFIB) Guardian of Small Business Award; the National Coalition of Latino Clergy and Christian Leaders's (CONLAMIC) Latino Leadership Award; and the Texas Association of Mexican American Chambers of Commerce's (TAMACC) International Leadership Legislative Award; among others. In 2005, Cornyn gained notice by connecting the Supreme Court's reluctance to hear arguments for sustaining Terri Schiavo's life with the recent murders of Judge Joan Lefkow's husband and mother as well as the courtroom murder of Judge Rowland Barnes. Cornyn said: "I don't know if there is a cause-and-effect connection, but we have seen some recent episodes of courthouse violence in this country. I wonder whether there may be some connection between the perception in some quarters on some occasions where judges are making political decisions yet are unaccountable to the public, that it builds up and builds up and building up to the point where some people engage in violence". His statement and a similar one by House Majority Leader Tom DeLay were widely denounced, including by The New York Times. Cornyn later said that the statement was taken out of context and for that reason he regretted the statement. In 2005, the Project On Government Oversight, a government watchdog group, presented Cornyn and Senator Patrick Leahy with its first ever Bi-Partisan Leadership Award in honor of their cooperation on issues of government oversight and transparency, including their co-sponsorship of the OPEN Government Act of 2005, which prevented burying exemptions from the Freedom of Information Act in legislation. On May 18, 2007, Cornyn was involved in an altercation with the late Senator John McCain. During a meeting on immigration, McCain and Cornyn had a shouting match when Cornyn started questioning the number of judicial appeals that illegal immigrants could receive. McCain yelled an insult at Cornyn and said "I know more about this than anyone else in the room." Previously, Cornyn told McCain, "Wait a second here. I've been sitting in here for all of these negotiations and you just parachute in here on the last day. You're out of line." Cornyn has been described by Jim Jubak of MSN Money as one of "Big Oil's ten favorite members of Congress", as he has received more money from the oil and gas industry than all but six other members of Congress. On the day of Obama's inauguration, it was reported that Cornyn would prevent Hillary Clinton from being confirmed as secretary of state by a unanimous floor vote that day. Senate Majority Leader Harry Reid's spokesman reported to the Associated Press that a roll call vote would be held instead on the following day, January 21, 2009, for the Clinton confirmation and that it was expected Clinton would "receive overwhelming bipartisan support". The vote was 94–2 in her favor, with only Senators Jim DeMint (R-SC) and David Vitter (R-LA) voting in opposition. As chairman of the National Republican Senatorial Committee, Cornyn was a strong supporter of Norm Coleman's various court challenges to the 2008 election certification of the Minnesota U.S. Senate race. Cornyn advocated for Coleman to bring the case before the federal court, and had said the trial and appeals could take years to complete. Cornyn had threatened that Republicans would wage a "World War III" if the Senate Democrats had attempted to seat Democratic candidate Al Franken before the appeals were complete. Coleman conceded after the Minnesota Supreme Court ruled in favor of Democratic candidate Al Franken. Senator John Cornyn as U.S. Senate Majority Whip, after 2014 re-election. On November 14, 2012, Cornyn was elected Senate Minority Whip by his peers. Cornyn was named Senate Majority Whip after 2014 election, during which the Republican Party took control of the Senate. In February 2013, Cornyn became one of the sponsors of the Fair Access to Science and Technology Research Act to expedite open access to taxpayer-funded research. After the death of Associate Supreme Court Justice Antonin Scalia in February 2016, Cornyn said that any nominee by Obama would have a difficult confirmation process and would feel like a piñata. He also stated that no serious candidate would accept a nomination before they would know that they would not be confirmed. When Obama nominated Merrick Garland to replace Scalia, Cornyn said that even if the president has the constitutional authority to nominate someone, the Senate has full authority on how to proceed afterwards. Cornyn also said that the voice of the people should play a role and that the vacancy should be filled by the winner of the upcoming presidential election, so no hearings on Garland would be held. Cornyn supported the Senate resolution expressing objection to the UN Security Council Resolution 2334, which called Israeli settlement building in the occupied Palestinian territories a flagrant violation of international law. On June 8, 2017, Cornyn questioned James Comey on Hillary's Clinton's emails at a committee hearing whose announced topic was the Russian interference in the 2016 election and Comey's dismissal as FBI director. In September 2018, during the Supreme Court nomination hearings for Brett Kavanaugh, Cornyn accused the Democrats sitting on the Judiciary Committee of descending into mob rule by breaking the rules of decorum when asking for postponement or adjournment of the hearing to obtain or review documents from Kavanaugh's time during his time working for the George W. Bush administration. Cornyn said that it was hard to find the Democrats' claim that they could not properly assess Kavanaugh without the documents credible because it seemed like their minds had been made up beforehand. Cornyn was ranked by National Journal as the fourteenth-most conservative United States Senator in their 2013 rankings. He was considered by The Dallas Morning News to be a reliable ally of former President George W. Bush on most issues. In the 2004 debate surrounding the Federal Marriage Amendment, Cornyn released an advance copy of a speech he was to give at The Heritage Foundation. In the speech, he wrote, "It does not affect your daily life very much if your neighbor marries a box turtle. But that does not mean it is right... Now you must raise your children up in a world where that union of man and box turtle is on the same legal footing as man and wife". According to his office, he removed the reference to the box turtle in the actual speech, but The Washington Post ran the quote, as did The Daily Show. Cornyn sponsored a bill that would allow law enforcement to force anyone arrested or detained by federal authorities to provide samples of their DNA, which would be recorded in a central database. He voted to recommend a constitutional ban on flag desecration and for a constitutional amendment defining marriage as between one man and one woman. He also voted for the reauthorization of the PATRIOT Act and extending its wiretap provision. In a viral tweet posted February 24, 2019, Cornyn quoted Italian leader Benito Mussolini, stating: “We were the first to assert that the more complicated the forms assumed by civilization, the more restricted the freedom of the individual must become.” Cornyn later clarified that by quoting (without context) the late fascist leader, who collaborated with Hitler during World War II, he had not intended to signal his personal support or approval for Mussolini’s platform. In August 2018, Cornyn and 16 other lawmakers urged the Trump administration to impose sanctions under the Global Magnitsky Act against Chinese officials who are responsible for human rights abuses against the Uyghur Muslim minority in western China's Xinjiang region. They wrote: "The detention of as many as a million or more Uyghurs and other predominantly Muslim ethnic minorities in "political reeducation” centers or camps requires a tough, targeted, and global response." Cornyn was one of 22 senators to sign a letter to President Donald Trump urging the President to have the United States withdraw from the Paris Agreement. Cornyn was one of only 22 Senators to vote against the Post-9/11 Veterans Educational Assistance Act of 2008 that expands the educational benefits for soldiers who served in Iraq and Afghanistan. Instead, he co-sponsored S. 2938, which gives benefits that are dependent on length of service. In December 2010, Cornyn was one of twenty-six senators who voted against the ratification of New Start, a nuclear arms reduction treaty between the United States and Russian Federation obliging both countries to have no more than 1,550 strategic warheads as well as 700 launchers deployed during the next seven years along with providing a continuation of on-site inspections that halted when START I expired the previous year. It was the first arms treaty with Russia in eight years. In August 2012, following news reports that a Russian Akula-class nuclear-powered submarine operated in the Gulf of Mexico purportedly undetected for over a month, Cornyn demanded details of this deployment from Admiral Jonathan W. Greenert, the Chief of Naval Operations. In 2013 Cornyn said that, despite the sequester, the Pentagon would actually see its budget increase. In April 2018, Cornyn was one of eight Republican senators to sign a letter to United States Secretary of the Treasury Steve Mnuchin and acting Secretary of State John Sullivan expressing "deep concern" over a report by the United Nations exposing "North Korean sanctions evasion involving Russia and China" and asserting that the findings "demonstrate an elaborate and alarming military-venture between rogue, tyrannical states to avoid United States and international sanctions and inflict terror and death upon thousands of innocent people" while calling it "imperative that the United States provides a swift and appropriate response to the continued use of chemical weapons used by President Assad and his forces, and works to address the shortcomings in sanctions enforcement." Cornyn supported U.S. involvement in the Saudi Arabian-led intervention in Yemen. In December 2018, Cornyn stated that the U.S. should stand with Saudi Arabia in the wake of the assassination of Jamal Khashoggi, saying: "Saudi Arabia is fighting a proxy war against Iran in Yemen, and an overreaction, in my view, would mean that we cancel arms sales and simply abandon our ally." He voted to ban intact dilation and extraction (a procedure also known as "partial-birth abortion") except in cases where the mother's life was in danger, and for a criminal penalty for harming a fetus while committing another crime. He also voted in favor of notifying parents of minors who get out-of-state abortions. He voted against expanding research to more embryonic stem cell lines. He voted to prevent contributions to organizations that provide abortion as a component of family planning, and to prevent funding of organizations that support coercive abortion. Cornyn voted to confirm Samuel Alito as an Associate Justice of the Supreme Court of the United States and John Roberts for Chief Justice of the United States. In September 2005, during the Supreme Court hearings for Roberts, Cornyn's staff passed out bingo cards to reporters. He asked them to stamp their card every time a Democrat on the Judiciary Committee used terms such as "far right" or "extremist". On July 24, 2009, Cornyn announced his intention to vote against President Barack Obama's Supreme Court nominee Sonia Sotomayor, citing his opinion that she might rule "from a liberal, activist perspective". In February 2019, Cornyn was one of eleven senators to sign a letter to Energy Secretary Rick Perry and Homeland Security Secretary Kirstjen Nielsen urging them "to work with all federal, state and local regulators, as well as the hundreds of independent power producers and electricity distributors nation-wide to ensure our systems are protected" and affirming that they were "ready and willing to provide any assistance you need to secure our critical electricity infrastructure." In 2018, Cornyn voted for the Omnibus bill H.R. 1625 which is projected to add $1.3 Trillion to the US deficit. Cornyn voted to permanently repeal the estate tax and for raising the estate tax exemption to $5 million. He voted in favor of $350 billion in tax cuts over 11 years and supports making the George W. Bush tax cuts permanent. However, he stands opposed to extending the 2011 payroll tax holiday. Cornyn is a cosponsor of the Fair Tax Act of 2007. John Cornyn also voted for the Emergency Economic Stabilization Act of 2008 but against the American Recovery and Reinvestment Act in 2009. In 2005, Cornyn voted against including oil and gas smokestacks in mercury regulations. He voted against factoring global warming into federal project planning, and against banning drilling in the Arctic National Wildlife Refuge. He also voted against removing oil and gas exploration subsidies. During his tenure in the Senate, Cornyn has scored 0% on the League of Conservation Voters' environmental scorecard, a system of ranking politicians according to their voting record on environmental legislation. Cornyn voted for the Troubled Asset Relief Program (TARP) in 2008 also known as the Wall Street bailout, and later voted to end the program. Cornyn opposed President Barack Obama's health reform legislation; he voted against the Patient Protection and Affordable Care Act (also known as Obamacare) in December 2009, and he voted against the Health Care and Education Reconciliation Act of 2010. Cornyn stated that Senator Cruz's efforts to defund Obamacare by threatening to default on the U.S. Government's debt obligations were "unachievable", saying "the shutdown did not help our cause. What did help our cause was the president's implementation of Obamacare, which has overwhelmed everything else. I don't hear anyone thinking that another government shutdown is the way to achieve our goals." Cornyn joined other Republican leaders to block fellow Texas Senator Ted Cruz's procedural move to reject an increase in the debt ceiling. In April 2013, Senator Cornyn was one of 46 senators to vote against the passing of a bill which would have expanded background checks for all buyers. Cornyn voted with 40 Republicans and 5 Democrats to stop the passage of the bill. In January 2014, Senator Cornyn introduced the "Constitutional Concealed Carry Reciprocity Act". The bill would provide interstate reciprocity for persons with concealed weapons permits. Cornyn described the bill as "It's like a driver's license. It doesn't trump state laws. Say you have a carry permit in Texas; then you use it in another state that has a concealed-carry law." He was rated "A" by the National Rifle Association (NRA) as of 2003 and 2014; as of 2018[update] his NRA rating was "A+". Cornyn has continued to support Concealed Carry Reciprocity as of the year of 2018, with the Republican-held House of Representatives passing a bill in late 2017 with this language attached to gun control measures from the Senate's Fix NICS bill. Senator John Cornyn has long been opposed to anyone profiting from memorabilia tied to convicted murderers, and had made three attempts thus far to pass acts against this. He introduced his first "Stop the Sale of Murderabilia to Protect the Dignity of Crime Victims Act" in 2007, which died in committee. He then revived it three years later with cosponsor Amy Klobuchar. The 2010 version of the "Murderabilia" bill met the same fate as the first. In 2013, inspired by a Nidal Hasan letter put up for sale by artist Kelly Hutchison, Cornyn decided to continue working on his bill. The listing claimed that all proceeds would be donated to charity, and the letter was reported to have sold anywhere from $2000 USD to $500,000 USD by various news sources. In January 2018, Cornyn was one of thirty-six Republican senators to sign a letter to President Trump requesting he preserve the North American Free Trade Agreement by modernizing it for the economy of the 21st Century. Cornyn and his wife, Sandy Hansen, have two daughters. Cornyn gained national attention when he released a video referring to himself as "Big Bad John". The video was featured on comedy shows such as The Colbert Report and The Daily Show. In August 2014, Cornyn was named "Mr. South Texas" for the 118th Washington's Birthday Celebration in Laredo in February 2015. WBCA president Veronica Castillon said that Cornyn "loves Laredo, and it shows through his attention and actions..."
Cornyn receives pensions from three separate state and local governments in addition to his Senate salary. "Office of the Secretary of State". Archived from the original on January 9, 2014. Retrieved September 19, 2007. ^ "Rootsweb Senatorial Genealogies". Retrieved September 19, 2007. ^ "Prominent Alumni: John Cornyn '69". The American School in Japan. asij.ac.jp. Archived from the original on March 31, 2012. ^ "U.S. Senator to Address Trinity University Undergraduates" (press release). Trinity University. trinity.edu. April 22, 2004. Archived from the original on March 3, 2016. Retrieved March 1, 2018. ^ "Alumni Association Foundation – Chi Delta Tau". Archived from the original on September 27, 2007. Retrieved September 19, 2007. ^ "U.S. Senator John Cornyn to Speak at Opening of Center for Terrorism Law as St. Mary's University School of Law". Retrieved September 19, 2007. ^ "Alumni in the News, 2002". University of Virginia School of Law. law.virginia.edu. Archived from the original on September 1, 2006. Retrieved September 19, 2007. ^ "John Cornyn: Biography". U.S. Senate. senate.gov. Retrieved March 1, 2018. ^ "Our Campaigns - TX Attorney General - R Primary Race - Mar 10, 1998". www.ourcampaigns.com. Retrieved September 18, 2018. ^ "Ourcampaigns.com". Ourcampaigns.com. Retrieved August 10, 2014. ^ "Our Campaigns - TX Attorney General Race - Nov 03, 1998". www.ourcampaigns.com. Retrieved September 18, 2018. ^ Texans for Senator John Cornyn Inc. About John Cornyn, JohnCornyn.com. Retrieved September 13, 2018. ^ "Online NewsHour: The Texas Senate Race – John Cornyn Biography". Archived from the original on June 3, 2012. Retrieved September 18, 2018. ^ Apple, Lauri (September 6, 2002). "Tulia, Too Late". The Auston Chronicle. Retrieved February 2, 2014. ^ "Possible Nominees to the Supreme Court". The Washington Post. July 1, 2005. ^ "Center for Responsive Politics". ^ "Noriega avoids runoff in Senate bid; Cornyn wins easily", The Dallas Morning News. ^ a b c d Gilman, Todd J. Texas’ John Cornyn rises in power in GOP-led Senate, The Dallas Morning News, November 4, 2014. Retrieved September 13, 2018. ^ "India Caucus formed in US Senate". Retrieved September 19, 2007. ^ "Senate Republican Conference: About the SRC". Archived from the original on September 27, 2007. Retrieved September 19, 2007. ^ "The Judges Made Them Do It". The New York Times. April 6, 2005. Retrieved February 2, 2014. ^ "Judge, her family slain, urges home security for jurists". CNN. May 19, 2005. Retrieved February 2, 2014. ^ Levinson, Paul (May 22, 2007). "Paul Levinson's Infinite Regress: John McCain's Indecent Double Standard". Retrieved September 18, 2018. ^ "Big Oil's 10 favorite members of Congress". Retrieved September 19, 2007. ^ Raju, Manu (March 17, 2009). "GOP eyes Bush v. Gore for Coleman". Politico. Retrieved March 30, 2009. ^ Hasen, Richard (March 18, 2009). "Franken's Monster Will Bush v. Gore bite Democrats in Coleman v. Franken?". Slate. Retrieved March 30, 2009. ^ Raju, Manu (March 30, 2009). "In Minnesota, it's still November". Politico. Retrieved March 30, 2009. ^ "Cornyn Elected Senate Minority Whip". Texas Tribune. Texas Tribune. ^ "Senate GOP leaders look outside as they run for re-election". CNN. July 11, 2013. ^ Barrett, Ted (March 7, 2016). "Supreme Court nominee would be a 'piñata,' Cornyn says". CNN. Washington: Cable News Network. Retrieved September 6, 2018. ^ Leslie, Katie (March 16, 2016). "Cornyn stands ground, vows fight on Supreme Court nominee". The Dallas Morning News. Retrieved September 4, 2018. ^ "Bipartisan group of senators call for repealing UN resolution on Israel". The Times of Israel. January 5, 2017. ^ Tribune, The Texas (June 8, 2017). "Fired FBI director faces panel of Senators including Cornyn". Retrieved September 18, 2018. ^ Rowland, Geoffrey (September 4, 2014). "Cornyn: Kavanaugh hearing dissolving into 'mob rule'". The Hill. Retrieved September 4, 2014. ^ "National Journal: 2013 Vote Ratings". ^ "Corrections". The Washington Post. July 13, 2004. Retrieved September 1, 2015. The June [sic] 12 Politics column quoted Sen. John Cornyn (R-Tex.) discussing gay marriage in a recent speech to the Heritage Foundation. The written text released by Cornyn's office contained the quote, but his office says the senator did not include it in his delivered remarks. ^ Romano, Lois (July 12, 2004). "In Oklahoma, GOP Race Not a Given". The Washington Post. ^ "The Boys in the Ban". The Daily Show with Jon Stewart. July 14, 2004. Event occurs at 3:25. Retrieved April 4, 2014. ^ Kim, Jonathan (September 23, 2005). "Bill Would Permit DNA Collection From All Those Arrested". The Washington Post. washingtonpost.com. ^ Gilthorpe, Darla (February 25, 2019). "Republican Texas senator John Cornyn quotes Mussolini on Twitter". Houston Chronicle. Retrieved April 4, 2019. ^ "The Republicans who urged Trump to pull out of Paris deal are big oil darlings". The Guardian. June 1, 2017. Retrieved June 1, 2017. ^ "U.S. Senate Roll Call Votes 110th Congress – 2nd Session". U.S. Senate. Retrieved May 23, 2008. ^ "Cosponsors: S.2938 — 110th Congress (2007-2008)". U.S. Senate. Retrieved August 30, 2018. ^ Mark Memmott (December 22, 2010). "Senate Ratifies START". npr.org. Retrieved December 22, 2010. ^ Baker, Peter (December 22, 2010). "Senate Passes Arms Control Treaty With Russia, 71-26". New York Times. ^ Gertz, Bill (August 14, 2012). "Silent Running". Washington Free Beacon. Retrieved October 4, 2012. Of the submarine activity, Sen. John Cornyn (R., Texas), member of the Senate Armed Services Committee, said, "It's a confounding situation arising from a lack of leadership in our dealings with Moscow. While the president is touting our supposed 'reset' in relations with Russia, Vladimir Putin is actively working against American interests, whether it's in Syria or here in our own backyard." ; Gertz, Bill (August 21, 2012). "Torpedo Run". Washington Free Beacon. Retrieved October 4, 2012. "The submarine patrol, taken together with the air incursions, seems to represent a more aggressive and destabilizing Russian military stance that could pose risks to our national security," Sen. John Cornyn (R., Texas) stated in an Aug. 17 letter to Chief of Naval Operations Adm. Jonathan Greenert. ; "Reports of Russian sub in gulf downplayed". UPI. August 19, 2012. Retrieved October 4, 2012. Russia declined to confirm or deny a media report that one of its submarines spent a month in the Gulf of Mexico without the knowledge of the United States. ; and "Russian submarine sailed incognito along the coast of the U.S." Pravda. August 21, 2012. Retrieved October 4, 2012. Sen. John Cornyn, R-Texas, a member of the Senate Armed Services Committee, on Sunday sent the letter to Chief of Naval Operations Adm. Jonathan Greenert requesting more information on the purported incident. ^ Dana Bash and Ted Barrett, CNN (February 26, 2013). "Top Senate Republican doubts damage from defense cuts". CNN. ^ "Key senators warn Trump of North Korea effort on Syria". The Hill. April 13, 2018. ^ a b "Saudi Arabia's Critics Push for Swift US Senate Action". VOA News. December 6, 2018. ^ "Senate blocks Yemen resolution aimed at restricting US military role". The National. March 21, 2018. ^ a b c d e "John Cornyn on the Issues". Retrieved September 19, 2007. ^ "Votes by John Cornyn". Congress votes database. Washington Post. Archived from the original on August 18, 2007. Retrieved September 19, 2007. ^ Milbank, Dana (September 16, 2005). "Final Day of Nomination Hearings: Yawn". The Washington Post. ^ Thomsen, Jacqueline (February 25, 2019). "Key senators say administration should ban Huawei tech in US electric grid". The Hill. ^ "U.S. Senate: U.S. Senate Roll Call Votes 115th Congress - 2nd Session". www.senate.gov. Retrieved May 16, 2018. ^ "Inside the omnibus". POLITICO. Retrieved May 16, 2018. ^ "Top Republican opposes extending U.S. payroll tax cut (Reuters)". November 7, 2011. Retrieved December 1, 2011. ^ "S. 1025: Fair Tax Act of 2007 (GovTrack.us)". Retrieved September 19, 2007. ^ "LCV_2006_Scorecard_final.pdf" (PDF). Archived from the original (PDF) on November 1, 2006. Retrieved September 19, 2007. ^ "Politifact-Texas". Retrieved February 21, 2014. ^ "senate.gov". August 12, 2014. ^ "U.S. Senate: Legislation & Records Home". Senate.gov. Retrieved August 29, 2010. ^ Lavender, Paige (December 10, 2013). "GOP Senator: Cruz Effort Was 'Not Achievable'". Huffington Post. ^ Manu Raju and Burgess Everett. "Behind the scenes of a dramatic debt vote". POLITICO. ^ a b Miller, Emily (January 15, 2014). "MILLER: Texas Shootout - John Cornyn and Steve Stockman Senate race is all about gun rights". Washington Times. Retrieved August 10, 2014. ^ Smith, Sonia (February 22, 2018). "The NRA Spends a Lot of Money on the Texas Congressional Delegation". Texas Monthly. texasmonthly.com. Retrieved February 28, 2018. ^ Connolly, Griffin; Connolly, Griffin (February 27, 2018). "House Concealed-Carry Reciprocity Measure Still Roadblock to Gun Legislation". Roll Call. Retrieved March 6, 2018. ^ Needham, Vicki (January 30, 2018). "Senate Republicans call on Trump to preserve NAFTA". The Hill. ^ "Office of the Secretary of State 2014 General Election Election Night Returns". Texas Secretary of State. Archived from the original on November 5, 2014. Retrieved January 7, 2015. ^ "Who Is John Cornyn's Wife? New Details On Sandy Cornyn". Your Tango. October 5, 2018. Retrieved November 30, 2018. ^ Goldmacher, Shane (June 17, 2013). "Sen. Cornyn Reveals Not One, Not Two, but Three Public Pensions Atop His Salary". National Journal. Retrieved August 13, 2014. This page was last edited on 22 April 2019, at 15:11 (UTC).